(CNN) London to Melbourne in 90 minutes? Paris to San Francisco in under an hour? That’s travel at 25 times the speed of sound — or barely enough time to take in an in-flight movie. Few areas of aviation generate wilder predictions than hypersonic flight — but a team in Germany might just have cracked it. Hypersonic means speeds of Mach 5 or over, or more than five times the speed of sound. Supersonic is Mach 1, or the speed of sound. Since the withdrawal of the Concorde in 2003, commercial aviation has remained purely subsonic, but that could change in the coming decades. Take new aircraft concepts like the Japanese HYTEX, capable of speeds of Mach 5, or the European Lapcat-II, expected to reach Mach 8. Then there’s the nascent space tourism industry, with companies such as Virgin Galactic and XCOR Aerospace hoping to take a select few on leisure trips to the edge of space. Researchers at the German Aerospace Center (DLR) are taking their own approach. 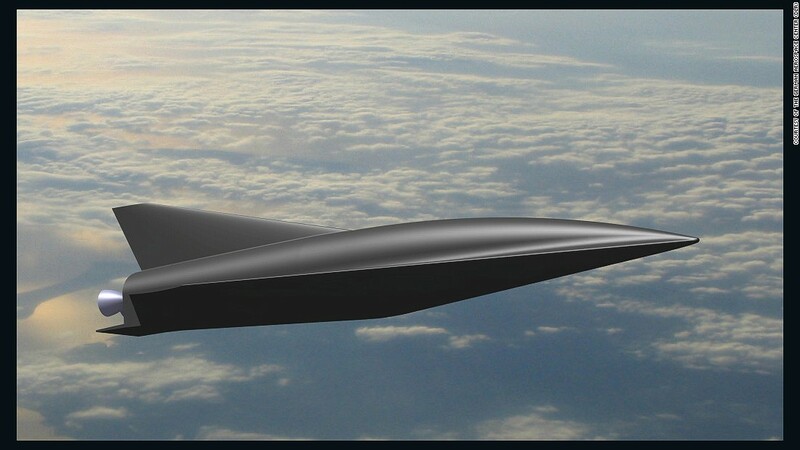 A team has applied space technology principles to propose what is possibly the world’s most advanced hypersonic airliner concept to date. 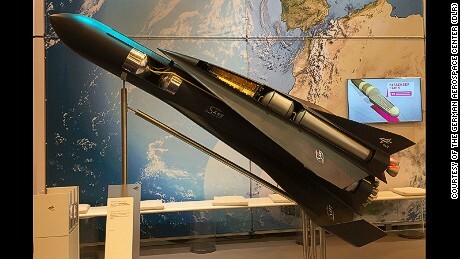 The result of 10 years of ongoing research by the Space Launcher Systems Analysis (SART) department at the Institute of Space Systems in Bremen, the SpaceLiner is a revolutionary hypersonic spaceplane concept capable of flying some 50 passengers across the globe at speeds of up to 25 times the speed of sound. It’s based on a two-stage concept, not unlike the Space Shuttle, where both the booster and passenger stages start in an upright configuration. Propelled by 11 rocket engines during launch (nine on the booster stage and two on the passenger stage) the system accelerates into the mesosphere using traditional cryogenic rocket propulsion. Once the booster stage is empty, the smaller passenger vehicle separates from the booster stage and continues accelerating, flying autonomously, just like an aircraft — except that it does so while reaching astonishing speed of up to Mach 25. After reaching a maximum altitude of about 80 kilometers, the passenger stage commences a gliding descent towards its destination. Not only is the SpaceLiner concept incredibly fast, it’s also environmentally friendly. It uses liquid oxygen and liquid hydrogen (LOX/LH2) propellants so only water vapour is produced. Most of the flight processes will be fully automated, but there would still be two pilots to monitor all onboard and flight procedures — and to provide reassurance to passengers. Even if costs can be brought down, hypersonic flight is likely to remain a premium product, at least at the beginning. 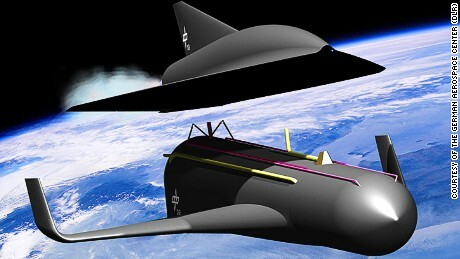 The number of potential routes flown by the SpaceLiner would be limited to intercontinental distances of more than 9,000 kilometers, where the time-saving would be most beneficial. Potential routes could include Australia to Europe, as well as linking destinations in the Far East, Europe, America’s West Coast and the Trans-Pacific market. The SpaceLiner would need space ports to be strategically located close to main population centers and business hubs in order to capture business traffic, while at the same time being sufficiently removed from densely populated areas in order to minimize noise issues during take-off. Coastal locations are the most desirable so that the starting phase can occur over water. SART has already identified several suitable launch sites in Europe, Australia and the U.S. that meet these criteria, with the Netherlands’ north coast being a particular favorite. How will we fly in 2050? According to SART’s own estimates, SpaceLiner flights are still a few decades away, maybe as much as 30 years. If it’s ever to become a reality, the SpaceLiner will need the involvement of the aerospace industry as well as investors with deep pockets. Dr. Trivailo estimates that the SpaceLiner would require an initial investment of 28 to 30 billion euros ($30 to 32 billion) to make it to the prototype stage. But there’s a lot more to the SpaceLiner than flying passengers faster across continents. By designing a fully reusable space system for regular passenger traffic, SART researchers hope that their work will make space travel more cost-effective. If their space hardware went into serial production, costs might be brought down and space travel would be more accessible to more people. Don’t pack your suitcase just yet, but affordable space tourism could be that little bit closer to reality.